1890 : Until 1921 a small fleet of mixed vessels was navigating on the Sea of Azov and the Black Sea, under Russian flag and registered in Rostov. Fitted out as grain feeders by LD, they would help solve the queuing problem in the Odessa port, and then chartered for the major ports in the Mediterranean Sea. These vessels were the Victoria, Vagliano, Sophia, Sergei Witte and Helvetia*. The Russian revolution would put an end to their activity. *The Helvetia will later be named François, thus becoming the François (I) in the LD fleet. 1903 : First new vessel of the LD fleet, the Carol 1er (name chosen in honor of the king of Romania, where LD does the most business). 1921 : First attempt to create an integrated fleet to transport its own cargoes up until 1927. Thus a new ship enters the fleet, theEmmy LD, as well as eight used vessels including three wartime vessels comparable with the “Liberty Ships” used during World War I. They were Sierentz, Léopold LD (I), Émilie LD (I), Louis LD (I), Germaine LD, Eliane LD, Lina LD and Émilie LD (II). 1927 : All these ships were sold between 1927 and 1937 to finance six modern diesel powered vessels (the only ones in the French merchant marine in the pre-war era), equipped with metallic hatches and a profiled hull. These vessels were Léopold LD (II) and Charles LD (I) built in Goteborg, and Pierre LD (I), Jean LD (I), Louis LD (II), François LD (II) built in France. Transferred under the flag of a company based in Marseilles during the war, the Compagnie Marseillaise de Navigation Coloniale, the vessels were renamed as Aldébaran, Procyon, Persée, Bételgeuse, Fomalhaut and Céphée; these vessels had different and sometimes glorious fates. 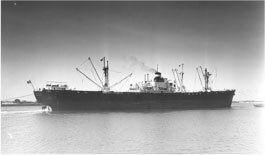 1930 : Buries Markes Ltd is created and manages its first ship, the Cedrus, between 1932 and 1934. 1938 : This chartering company, located in London’s maritime district, was bought by the Louis Dreyfus group in 1938. This same year the group ordered its first new ship with diesel engine, La Pampa*, at the Gothenburg shipyard where were previously launched its two first modern Procacci type vessels. *Historical name of the ship given by the Louis Dreyfus Group in recognition towards the SACEIF, its grain and cereal subsidiary based in Buenos Aires that financed the ship. A recognition spanning years since all Buries Markes’ vessels were given Argentinian names. 1940 : Beginning of World War II, William Doxford delivers two 9,300 dwt bulk carriers, La Estancia in 1940 and La Cordillera in 1942 (both were later sunk). This same year two FORT type vessels were built in Canada and attributed to Buries Markes by the Minister of War Transport in compensation for the lost tonnage. 1945 : The Group resumed its activities after the war thanks to Pierre Louis-Dreyfus who played an important role in fitting out the fleet. He had to rebuild the maritime empire and gave a second life to the company, dedicated to the transportation of grain and cereals. Little by little he opened the bulk carriers’ holds to coal and other raw materials. After the war, LD had only four vessels: Léopold LD, Jean LD, Louis LD, François LD. Two ships had been sunk by the enemy: Charles LD and Pierre LD. The Liberty Ships Gien and Orléans were attributed to the company by the government. In compensation for the lost tonnage, LD received Charles LD (II) as well as the small vessel Etel renamed as the Gabriel Guena, and the Oakland renamed as the Alain LD (I). This same year Montreal Shipping or Montship is founded by two Canadians – the Laws brothers, with ships built in Canada during World War II, and destined to the Commonwealth’s merchant marine: the famous “parks”. The vessels operated on two major maritime routes: the Can-Con line (Canada-Continent/Northern Europe) and the Can-Med line (Canada-Mediterranean).